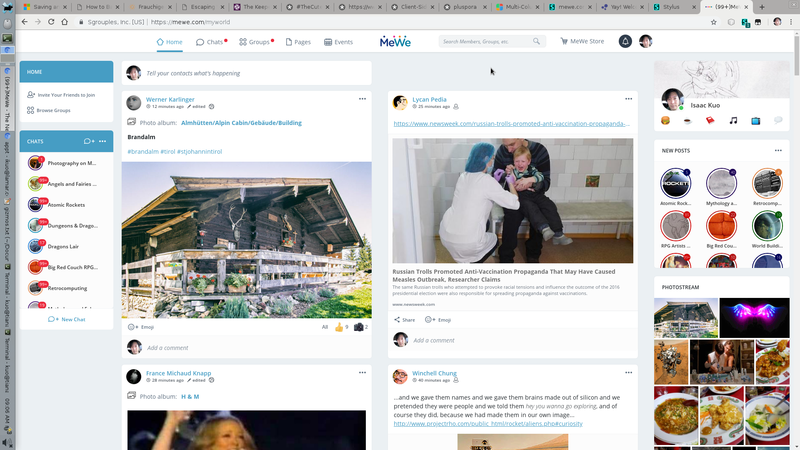 Quick question - does anyone know a way to automatically expand all posts to full height (virtually clicking on all the "show more" bits)? 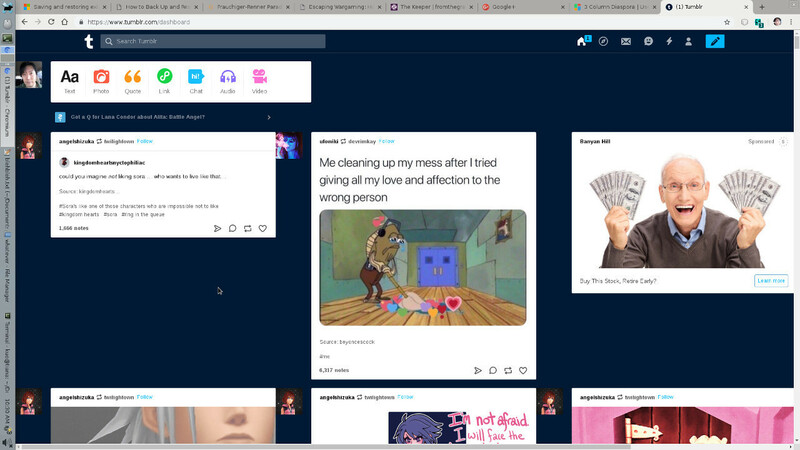 Is it doable with Stylus (Chrome/chromium browser)? I just found out an awesome way to get multi-column stream, but I want to combine it with post auto-expansion before sharing. 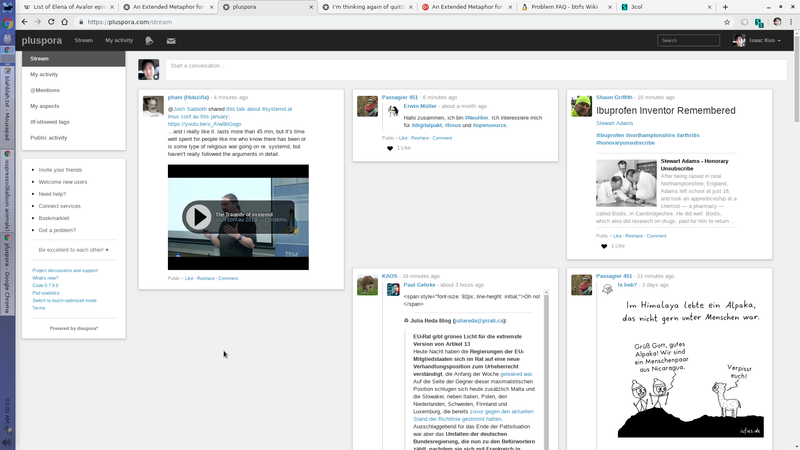 Multi-column stream is one thing I have missed from Google+, because it allows browsing posts so much more quickly than single column. If we can get everyone browsing multi-column, this will boost engagement and enjoyment of diaspora! But I really want to add auto-expansion of posts for the "true" version. Thanks again! 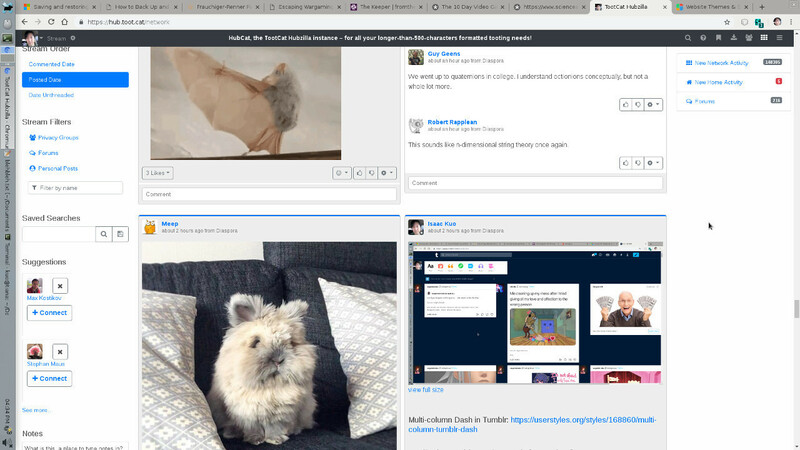 Where do you find previous discussions about features such as groups and post editing? https://github.com/diaspora/diaspora/issues/6278 "There is a $257 open bounty on this issue." https://github.com/diaspora/diaspora/issues/1762 "There is a $320 open bounty on this issue." 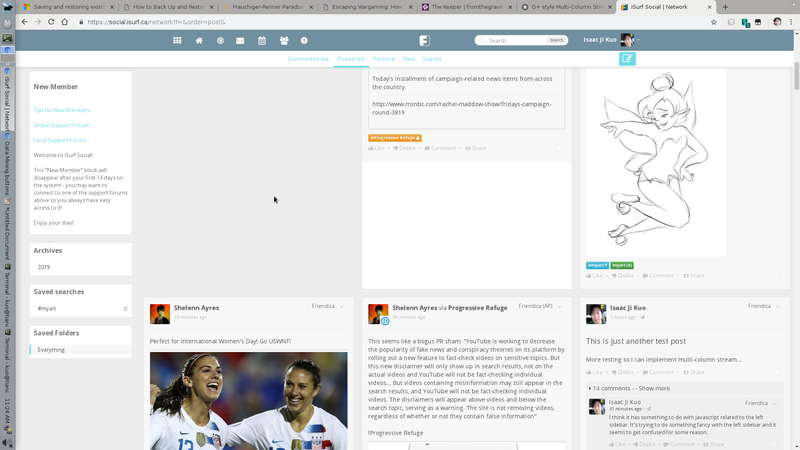 In the sidebar over on the left at the top of the Stream page is a Bookmarklet link. You might already know that you can click the arrow to the left then drag the text 'Post to diaspora' onto your bookmark bar to turn it into a bookmarklet. While looking at any web page, you can click that bookmarklet and a pop-up window will open with the title of the web page and the link to it ready for you to add some hashtags and post it to Diaspora. Did you know that if you highlight some text on the page before clicking the bookmarklet, that text will be formatted for you as a quote? It would be nice if browsers let you highlight more than one piece of text by using Ctrl+Drag, but we can't have all the things. I hope you found this useful. If you did, how about sharing it? In @Isaac Kuo's Multi-Column UserStyle post, @Serge commented that it would be nice if there was a reply link that would auto-complete the user handle. 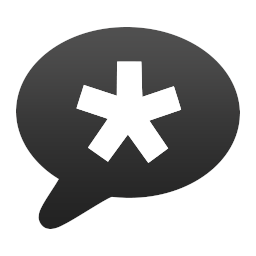 This script will add 'reply' links to comments on default Diaspora* (desktop) website interfaces, which will insert the current comment's author's handle in the new comment textarea when clicked. The 'reply'-link will appear in the control-icons row that appear when hovering over a comment area. Current version has been tested with GreaseMonkey on Firefox 65, on JoinDiaspora.com (though also has a URL match for PlusPora.com instance), but should work with other UserScript extensions such as ViolentMonkey or TamperMonkey as well. Install your favourite UserScript extension, download the userscript from my Github Gist or from GreasyFork userscripts repository and install it through your userscript extension's interface. Anyway, thanks for the credit! I'm actually a newbie. I had no idea this was even a possible thing until @Filip H.F. "FiXato" Slagter showed the initial code example and I was shocked at how simple it was. What I totally didn't realize was that float:left would still be good enough. Also, others had already done this before, I just didn't know about it. I wish I had...it would have turbo-boosted my diaspora experience a lot earlier. Here's CSS code for the Stylus plugin (Chrome, Firefox, Opera) for multi-column comments. 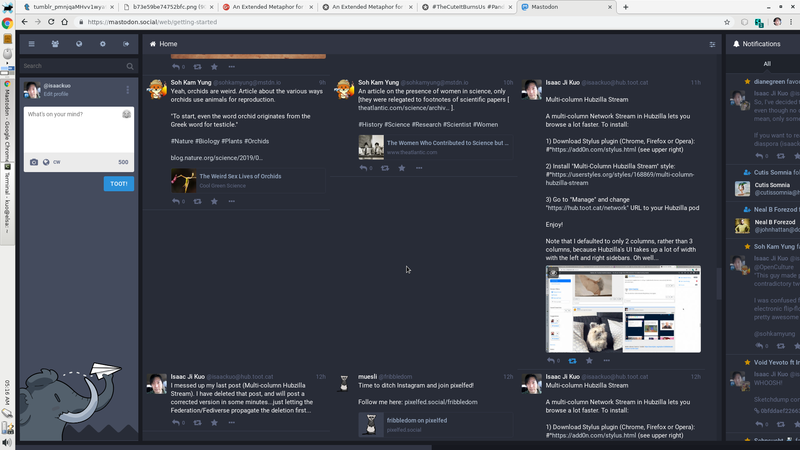 This makes the comments a bit more compact and easier to read on wide screens. 4) Paste the above code, and save. 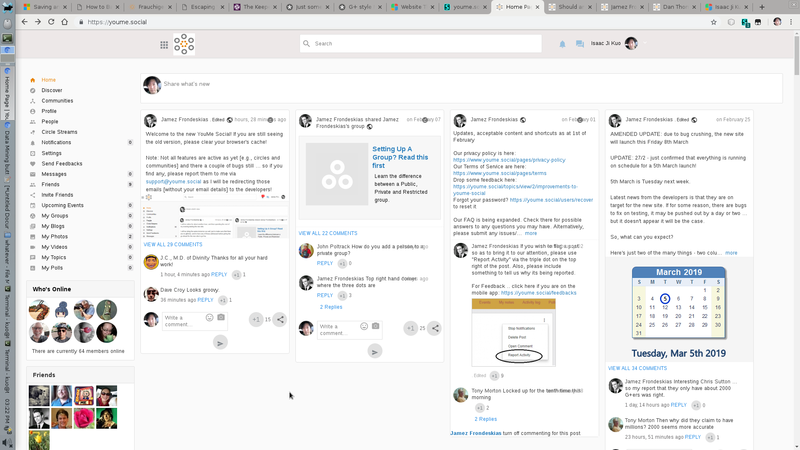 One thing I like about Google+ is the multi-column stream view. 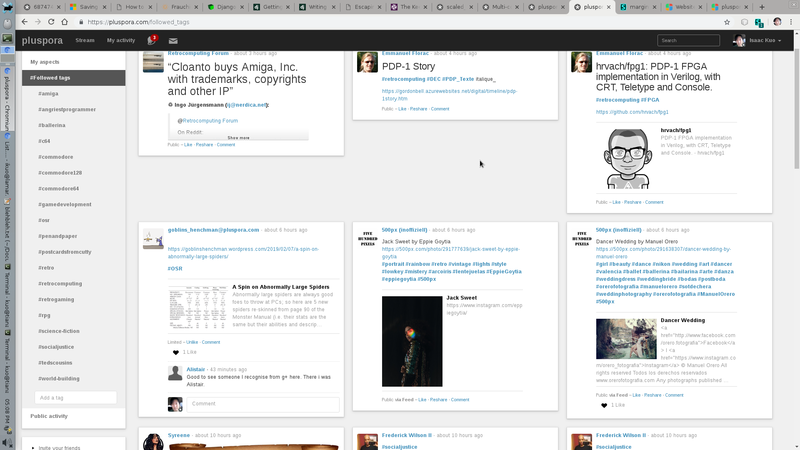 It means I can browse articles more quickly than with a single column view, with less scrolling effort. 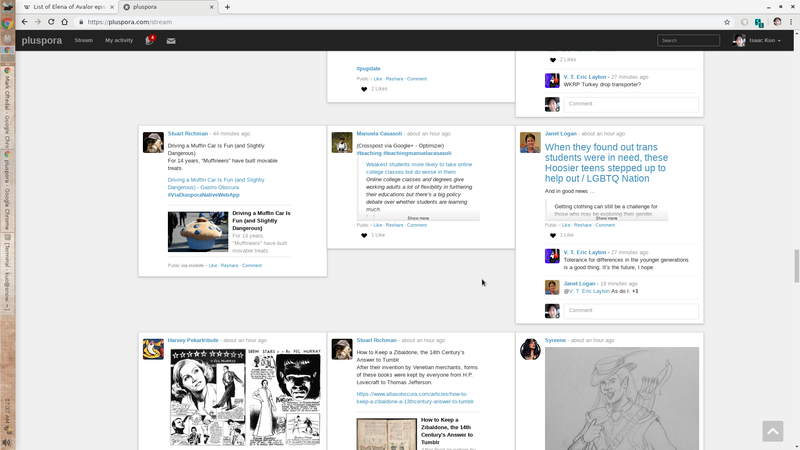 Conversely, it means my followers can browse articles more quickly, so more people see my posts. It's great! More engagement, more enjoyment, less time spent. 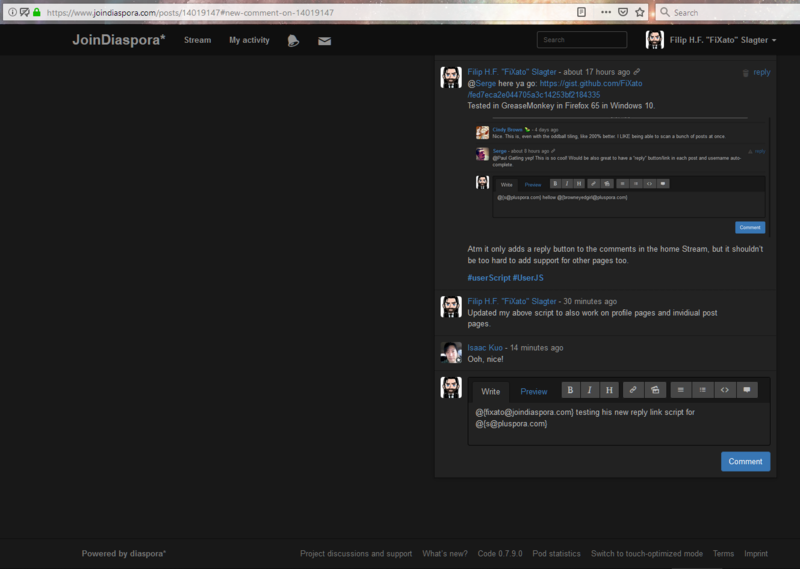 Diaspora has many features I like, being similar to early G+. But it has just a single column stream view...until now! 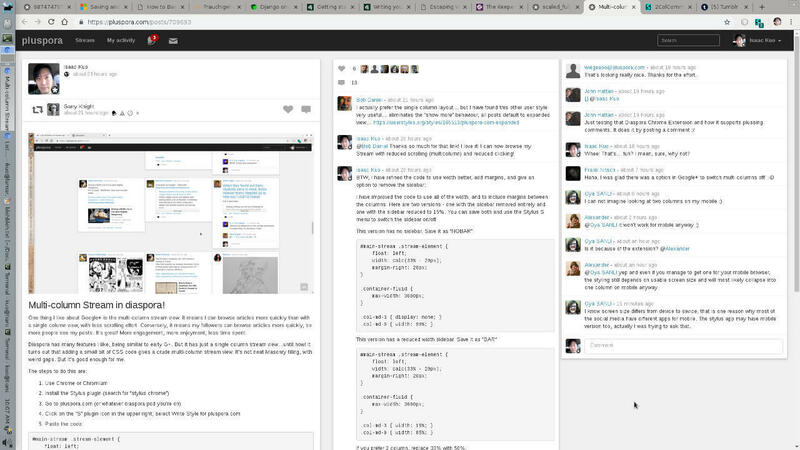 It turns out that adding a small bit of CSS code gives a crude multi-column stream view. It's not neat Masonry tiling, with weird gaps. But it's good enough for me. 6)Click “Save” to save your new style. Have you ever clicked a link in a post or comment on Diaspora* in your browser, and when you click the Back icon it takes you to the top of your Stream? I know, it's a pain, isn't it? The trick is not to click the link, but to either middle-click the link (if you have a mouse with a scroll wheel) to open the link in a new page, or to right-click the link and open it in a new page from the drop-down menu. This way, you can just close the new page when you're done and go back to where you were on the page. You can't do this in the Dandelion* app, if you use that, you can only click the link directly. But going back does take you back to where you were in that app. I just got around to installing a translator app (ImTranslator) to my browser (Opera). It's made a big difference. I can now translate 22 languages by pressing Ctrl+Alt+V. Wish I'd done it on day one. I created an Aspect called Private and didn't add anyone to it. When I want to make a test post to see if something works, like different ways of posting photos from different sources, I post it to that single Private Aspect and nowhere else. No one gets to see the result except me. When I'm done, I can delete it. It saves clogging up the Stream for other people. Useful? If so, please reshare.